Have you ever filed your taxes knowing that you either omitted or did not bother to review if your numbers makes sense? I got to tell you, you only need to get audited once, to experience the stress and hassle of replying to your beloved IRS. Choosing the wrong filing status – either spouse might file a joint return, separate return or single-filer return. If both spouses are not on the same page, have no communication & filed different returns, rest assured that they will have time to talk about it during the audit. Reporting a different alimony paid and received – to avoid any IRS letter for both parties, make sure that the alimony reported for both spouses are identical. If not, you need to start preparing all the tax support to provide proof of the amount that you reported. If you own your own business and you are motivated to minimize your taxes, you are more inclined to deduct a lot of various expenses. Be very careful though since a “Schedule C Profit or Loss From Business” tax form is a red-flag for an IRS audit. IRS would require proof why the expenses are “ordinary and necessary” for the business. If you cannot provide proof, they can go back and audit the last 3 years of your return. The words very stressful is an understatement once you get an IRS letter indicating that you have been selected for an audit. Make sure you report all the income that you received that don’t generate a W-2 or 1099. You might think cash received, payments from a side gig and under-the-table arrangements don’t have to be reported on your return. However, in case you get audited, the IRS will ask for copies of your bank statements and cash transactions. They can come back and audit the last 3 years of your return. It gets worse – if you omitted more than 25% of your gross income, they can go back and audit the last 6 years of your return. Good luck on that! 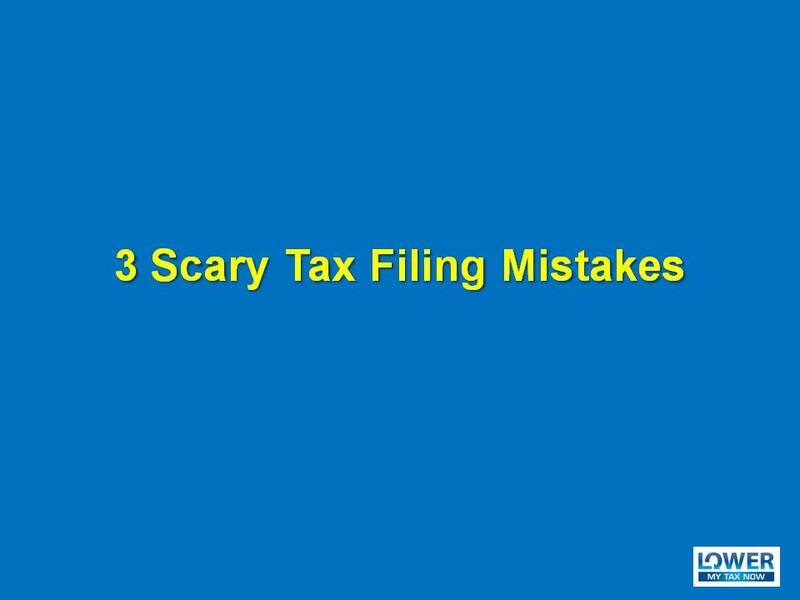 So those are three examples of scary tax filing mistakes. Next time, please make sure to take this into account in order to avoid any IRS visits.